RingCredible is an ingenious travelling app that eliminates roaming charges, as it relies on an internet connection to make calls to mobiles and landlines worldwide at minimal costs. This nifty app, is now available in Africa, and is increasingly conquering the international market, due to its sole focus on closing the gap between mobile providers and free peer-to-peer app. The app was initiated in the Netherlands and has been optimized for Africa by Znix consulting through a partnership deal. Znix Consulting is one of the fastest growing ICT, Telecommunications, Power, Security, Oil & Gas services, Road Traffic enforcement and Management solutions provider founded in October 2005. "RingCredible is a distinctive application in that it you do not need a SIM card, the receiver does not have to be online or install the application and they see your normal phone number without noticing any difference" says Mr Fidelis O. Igbokwe, VP RingCredible Africa, Founder and Executive Chairman of Znix Consulting. The app can cut costs of your international calls by as much as 90%, and it can be downloaded via the Znix website. It works on both iOS (iPhones/iPads) or Android smartphones and tablets, Using WiFi, 3G or 4G data connection. 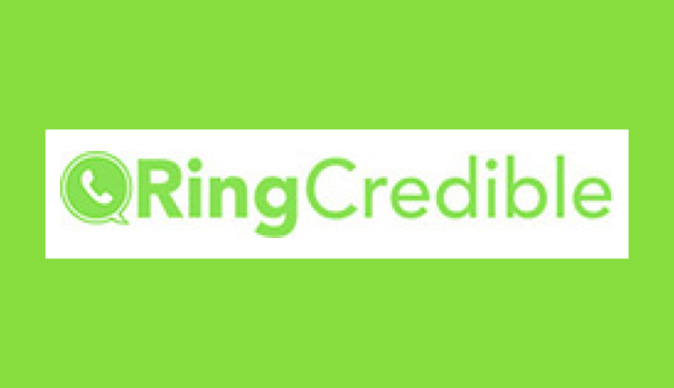 RingCredible is gaining momentum, especially in Europe, North and South America. In just 2 years of existence the app has achieved 2,9million subscribers in 159 different countries and has been ranked the No 1 travel app globally on Apple devices. It is very flexible, no contracts required, you retain your existing mobile no, all your contacts are seamlessly available in the app, you can purchase airtime in the app using your apple account, Google account, debit card, credit card or voucher for those without a debit or credit card. RingCredible offers a win-win solution for mobile operators, entities, airlines and Government that is deploying cheap or Free Wifi as it provides a value add to drive traffic through the network and generate additional revenue for the Wifi or internet provider. This app is perfect for school children from primary up to university level as they can make calls using their android or IOS tablets and smart phones on the free Wifi available at school. It will also add more value to business especially Small and Medium Entreprises (SMEs) as they will save on call costs.